The following master schedule is a guide for students, faculty, and the administration to know what courses will be offered. Courses may be offered outside this schedule if there is demand for them. This information is particularly important for students enrolled in our undergraduate and graduate program to plan what courses to take in order to graduate in a timely fashion. For details on requirements, please consult the Undergraduate Curriculum or Graduate Course Offerings for course requirements. As well as the requirements for the Teacher Certification Program, the Film Certificate Program, and the Minor in Writing and Communication in English. The following course listing is a reference document for planning purposes and is updated regularly. While we strive to teach all these courses on their scheduled semesters, we can only guarantee offering the ones required for general education or English Department programs. 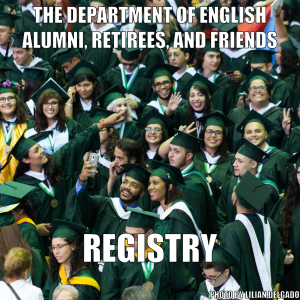 If you see any errors or omissions, please contact leonardo.flores@upr.edu. Color coding identifies required courses by program and track. The color coding key is at the bottom of the chart. Courses marked with an X are typically offered on the semesters marked. Any unscheduled course is available to be activated and scheduled, as long as there’s demand for it.